I sometimes joke with those who ask me what I do that I get paid to play video games. It’s actually half-true. As a behavioral scientist who specializes in understanding human motivation and emotion, my colleagues and I cracked the code of engagement in games over a decade ago. Over the years, we’ve continued to consult with developers on the psychology of games and how they can understand, measure, and impact the experiences that truly engage and delight their customers. Imagine if the same principles that draw players into leading games such as Fortnite could draw employees into greater engagement and enjoyment in their work. This was the promise of gamification when it first emerged seven years ago — but it never got things right. The same basic needs and fulfillments that enrich our experience of games are also what engage us at work. This simple truth can transform engagement and solve a vexing problem that costs companies billions every year. Gallup’s 2018 Global Great Jobs Briefing said that only 7% of the global working adult population has a great job. And only 30% of the American workforce are engaged in the jobs they do have. These disappointing stats haven’t changed in decades, despite herculean effort and investment by companies worldwide. Certainly we know — by looking at how people play games — that people are self-motivated to face challenges, succeed, and grow. So, why is it that work — which one is paid to do — shows so little engagement, while games — which one pays to do — are extremely engaging? In our workplaces and corporate cultures, how can we better recognize and tap into the same intrinsic motivation that our employees bring to games and also express in other valued areas of their lives? These are the questions that can turn engagement around. And the answer lies in well-established and practical principles in human psychology. First, we’ll need to look at the core needs and satisfactions that are the foundation for players truly loving — and staying engaged with — a great video game. In numerous empirical studies of the psychology of games, we use a psychological framework we developed called Self-Determination Theory to assess players’ motivation and engagement. And it consistently emerges as the single biggest predictor of fun, engagement, and value. Guess what. The same model is also a significant predictor of engagement, performance, fulfillment, and success at work. For those business leaders listening in, it also predicts bottom-line profit. More on that in just a bit. First, let’s unpack exactly what this model says. At the heart of the Self-Determination Theory Model lie three basic psychological needs that apply to every person on the planet — regardless of age, race, or gender. When these needs are fulfilled, engagement, motivation, well-being, and a host of positive outcomes emerge. And this model is being applied in our research and that of hundreds of our colleagues around the world to almost every human domain — including video games and work. Autonomy is the experience that you’re the author — the hero — of your life. It means your mission each day is endorsed and reflects what you value. Relatedness is the experience of belonging. The sense that “I matter” to you, and you matter to me. And that we both value mutual support of one another. Mastery is feeling effective in what you’re undertaking, that you’re successfully tackling tasks and challenges, and constantly growing in the process. We applied this model to video games and found it was not the fleeting experience of “fun” that drove engagement and value — but feeling the game specifically fulfilled autonomy, relatedness, and mastery. 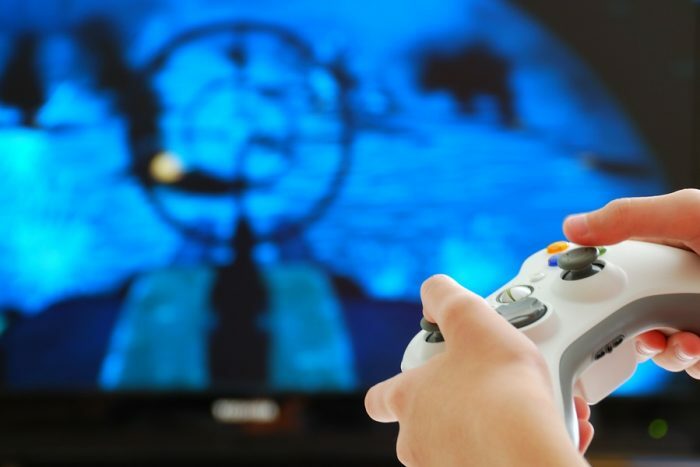 Video game makers expertly craft experiences to fulfill our basic psychological needs. When it comes to autonomy, good games give players almost limitless opportunities to author their own story — to create a personal narrative and follow paths that are personally compelling. Even when players aren’t able to choose their specific mission or task, there’s usually a clear reason why that task is important so they can get behind it and willingly engage. The tasks and rewards are also structured in a way that provides the player with feedback, like when their world responds to their decisions or actions. Online games like Destiny and Fortnite allow players to form teams, work together on missions, and play against other gamers thousands of miles away in real time. It’s not simply making these social connections that fulfills the basic need for relatedness, it’s that the mechanics of the game encourage players to work together and provide each other meaningful support. Finally, mastery fulfillment has been a mainstay of video games since the arcade days, when players put a quarter into Pong or Asteroids and tried to progress as far as they could through the game’s increasingly difficult challenges. In modern games, good design enables players to feel a sense of challenge, but also to primarily experience the ability to be successful and grow as they develop characters and identities over many hundreds of hours of gameplay (no quarter necessary). Having looked at these needs in games, how can these same principles unlock deep commitment in the workplace, building deeper motivation and engagement in your co-workers, colleagues, and employees? Let’s explore this through the story of a new employee named Doug. Doug, like everyone, wants to love his work. The need for autonomy that pulls him into exploring a video game world also fuels a desire to believe in what he is doing at work and have ownership of his tasks. Even when he is doing tasks he doesn’t have a choice over, he wants to believe in the purpose of that work, that his “quest” is worthwhile and valued. Where possible, Doug wants to have a meaningful say over how he tackles the job; to provide personal input and ideas about his projects, having agency in his career development and progression. And when Doug has to complete tasks that are less than exciting, he can still feel autonomy if his employer explains why that work is important, respecting the fact that it’s important to be “on board” with the mission. Fulfilling Doug’s basic need for autonomy creates purpose and high-quality motivation for his work much in the same way it draws him into a great game. When Doug experiences autonomy, he will be much more deeply engaged in his tasks — whether in a virtual world or the very real workplace. Even if Doug feels he has agency over his career, does he feel connected to others at work? Or is he hammering away at spreadsheets in a back office somewhere by himself like it’s a single-player game? Or is the workplace experience he’s having a multiplayer game where he can team up with others to conquer and thrive? Or is it an every-person-for-themselves experience? Just as in games, for Doug to have a workplace experience that fulfills his basic need for relatedness, there needs to be meaningful social relationships where he feels respected and supported. The most successful companies nowadays are the ones that form flexible, agile, autonomous networks of teams that tackle projects together — much like a team forms in Call of Duty to defeat the enemy. Finally, once Doug is on a collaborative and supportive team, does he experience mastery in his work? Just as he will “level up” and gain new abilities and opportunities in a game as he succeeds, at work does he receive useful feedback and coaching to help him improve and develop? Is he given optimal challenges that let him acquire new skills and tools? Both in games and in the workplace, Doug needs to have challenges to allow him to grow, but be supported so he can successfully meet those challenges. Just as in a well-balanced game, the real trick is to have enough challenge to feel excitement, but not so much that you feel overwhelmed. As an HR leader, you know how hard it is to retain top talent. Properly challenging employees builds loyalty and interest rather than boredom and frustration. And specifically understanding and measuring mastery fulfillment and support empowers you to gauge whether your efforts are striking a balance that will truly engage. The tools exist to understand, measure, and take action on these key principles of engagement. There are several tackling the problem of employee disengagement. motivationWorks focuses on bringing lasting engagement, value, and positive change to the workplace and the entertainment space. And after decades of research, it’s exciting to see how the framework empowers the great experiences that build great workplace cultures of success and fulfillment — cultures that make every employee feel like a hero. As a leader, you can use the framework of Self-Determination Theory to build incredible employee engagement and motivation, so your organization can attract, retain, and develop star talent, allowing everyone to achieve a new high score. Dr. Scott Rigby is an author, behavioral scientist, entrepreneur and founder/CEO of Immersyve Inc., a company focusing on the application of behavioral science to organizations, products, and services. Scott and Immersyve work with both small and large companies on culture and the development of motivational best practices. He is a leading authority on predictive measurement of motivation and engagement, as well as on interventions to improve organizational culture. Clients include Prudential, Amazon, Warner Brothers, Johnson & Johnson, and Disney.